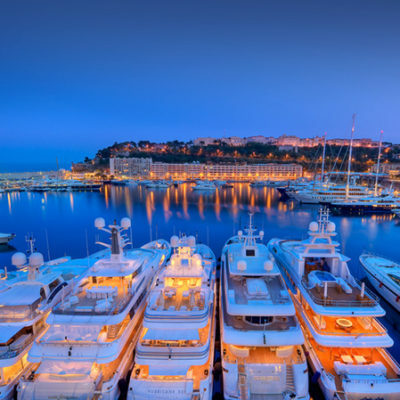 MCK-Suppliers B.V. is a nautical supply company that specializes in supplying goods for the super yacht industry. Driven by a deeply-rooted passion for the nautical world, our enthusiasm triggers our urge to provide a high level of service and quality in this exceptional field of work. We strive to solve problems and are constantly in pursuit of extremely satisfied customers. MCK-Suppliers is fueled by passion and the desire to achieve challenging goals in international trade. With an ambitious team of experts, and a wide network of excellent suppliers and shippers, we are able to respond quickly and adequately to your needs. We know and understand the need of a partner that gives you the trust of a personal fitting order flow and comply with this. Additionally, we fully understand your need for privacy at the highest possible level, and accordingly maintain personal customer care in every step of our services, including excellent aftersales. Owner Paul Kuijper has worked as chief engineer and as an aftersales and warranty coordinator at Feadship and has 35 years of experience in the nautical industry. After his time at Feadship, Paul set up a new company: a subsidairy of a parent company that also specialized in nautical supplies for the super yacht industry. This company thrived and experienced a healthy growth with successful results. But Paul’s business drive, combined with his past experience in this exceptional industry, fueled his entrepreneur’s brain to take it to the next step. His ambition has led to the establishment of MCK-Suppliers B.V., where all pieces of the puzzle fall into place. At MCK, we take full advantage of his experience, pursuing and providing high service and quality in every step of our supply processes. We are driven by the continuous pursuit of highly satisfied customers. That is why you can expect adequate information in the shortest time possible, with fast reply and solution-oriented actions. Because we know that timing and perfect delivery of all the goods is crucial when you need the right parts. At MCK-Suppliers, you can count on: high service and the continuous pursuit of satisfied customers, cost efficiency, fast reply, ambition, enterprising, no nonsense, courage, strong commerce, taking on challenging goals, thinking in terms of solutions, expertise and experience. Of course, we can assist you with all your questions. Just contact us and discover the possibilities!